FN: Be on your guard against the learned! They hate you; for they are unfruitful. MJ: Lies run sprints, but the truth runs marathons. FN: In every real man a child is hidden that wants to play. MJ: There’s a Mother’s Day and a Father’s Day but there’s no Children’s Day. It would mean a lot. World peace. Charming, yes, but I believe this comparison runs much deeper than that, into a juxtaposition of two historical figures that is entirely natural and extremely rich. 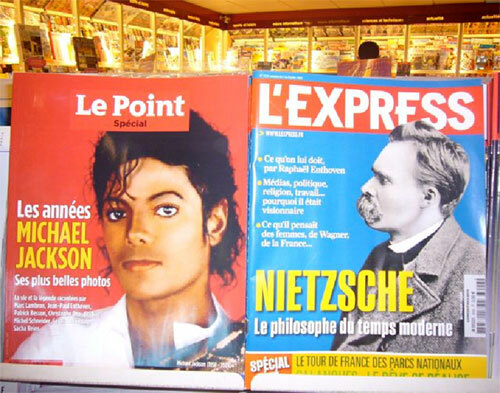 In this article, I will endeavor to delve further into these imagined cahoots between the King of Pop and Nietzsche. 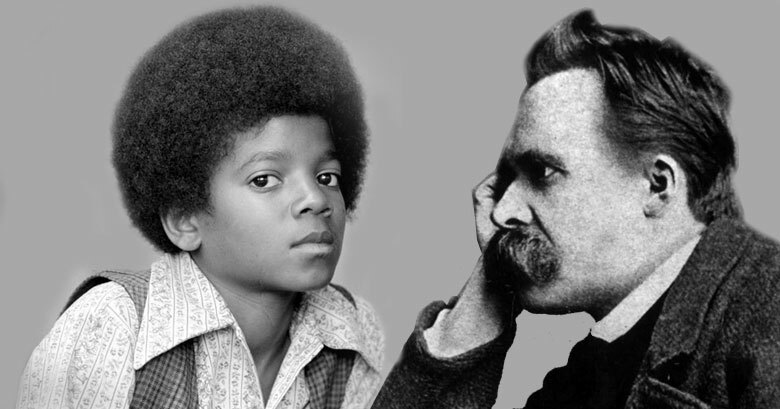 The character of my fondness for Michael Jackson and Friedrich Nietzsche is very similar. Despite both of these men being extremely influential and leaving behind highly celebrated bodies of work, they are also both often considered tragic cases on the historical stage. They were driven to obsessive heights, if not madness, by their devotion to their craft and their vision for the world. Yet I have never looked upon either of them with anything short of deep respect. Even in their tragedy, these men are beautiful to me. I hope to expand upon this fictional dialogue, and attempt to reveal two visionaries reaching out to one another from across historical eras and spheres of influence. In the act of aligning these two boldly trailblazing artists, I hope to lend an admirable and rich philosophy to a pop star, and to lend the romance and marvel of pop to the life’s work of a philosopher. Nietzsche was no stranger to the virtues of music. 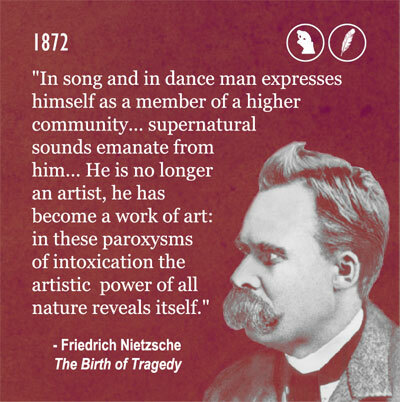 Among his most oft-quoted words are: “Life without music would be an error,” and “I would not know what the spirit of a philosopher might wish more to be than a good dancer”.3 Nietzsche, from his earliest writings, considered himself a disciple of Dionysus, the ancient Greek God of pleasure. To Nietzsche, Dionysus symbolized everything ecstatic, exuberant, and rich with life. “In the Dionysian symbol,” he wrote, “there is attained the extreme limit of affirmation.” He adored art which embodied this attitude, principally music, which speaks to the emotions on a particularly instinctual level. Perhaps due to this fact, Nietzsche himself attached a great deal of personal importance to his own musical compositions. Though considered to be mediocre at best as a composer, he was extremely concerned with the public’s reception of his work. In a letter to his friend Peter Gast in 1882 regarding his orchestral piece “Hymn to Life”, he wrote: “This time, ‘music’ is coming to you. I would hope that I have made a song that could be performed publicly — in order to seduce people to my philosophy”.4 As a musician himself, Nietzsche recognized music’s particular magic, and saw it as a complement to his philosophy which could expand his public influence. While Nietzsche, the frustrated composer, never received much respect for his music, he did create something else relatively seductive: a piece of writing that is much closer to poetry or music than it is to analytic philosophy. 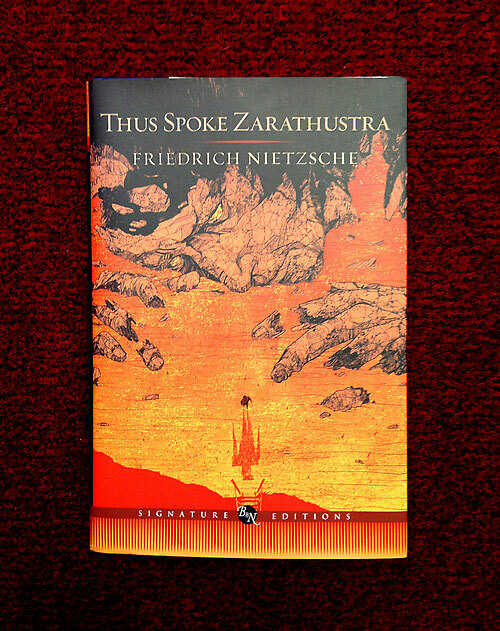 It is Thus Spoke Zarathustra, perhaps his most popular yet most puzzling work of philosophy, composed between 1883 and 1885. It reads like a work of literature, telling the story of a solitary prophet named Zarathustra who emerges from his seclusion to spread his wisdom. Through a series of parables, Nietzsche leads us on a densely symbolic and ecstatic tour of his philosophical views which stands in contrast to his other work; despite his proclivity to speak in aphorisms (Beyond Good and Evil, Twilight of the Idols), Nietzsche’s canon arguably consists of relatively linear works of philosophy. Nowhere else do we find an extended metaphorical narrative within his work akin to Zarathustra. We’ll call Zarathustra, for our purposes here, Nietzsche’s closest approximation to a pop song. It is with a focus on Zarathustra that I begin his comparison with Michael Jackson — with artist speaking to artist, both expressing their philosophies with all the grace and mystique of a great dancer, through shared virtue and shared tragedy. 1 Kaufmann, Walter, ed. The Portable Nietzsche. New York: Viking Penguin, 1954, 136. 2 Wareham, Dean. “Scenes from the Road.” Yeti July 2010: 60 – 67. 3 Kaufmann, Walter, ed. The Portable Nietzsche. New York: Viking Penguin, 1954, 471. Nietzsche, Friedrich. The Gay Science. New York: Random House, 1974, 346. 4 Bertram, Ernst. Nietzsche: Attempt at a Mythology. Champaign: University of Illinois Press, 2009, 91.